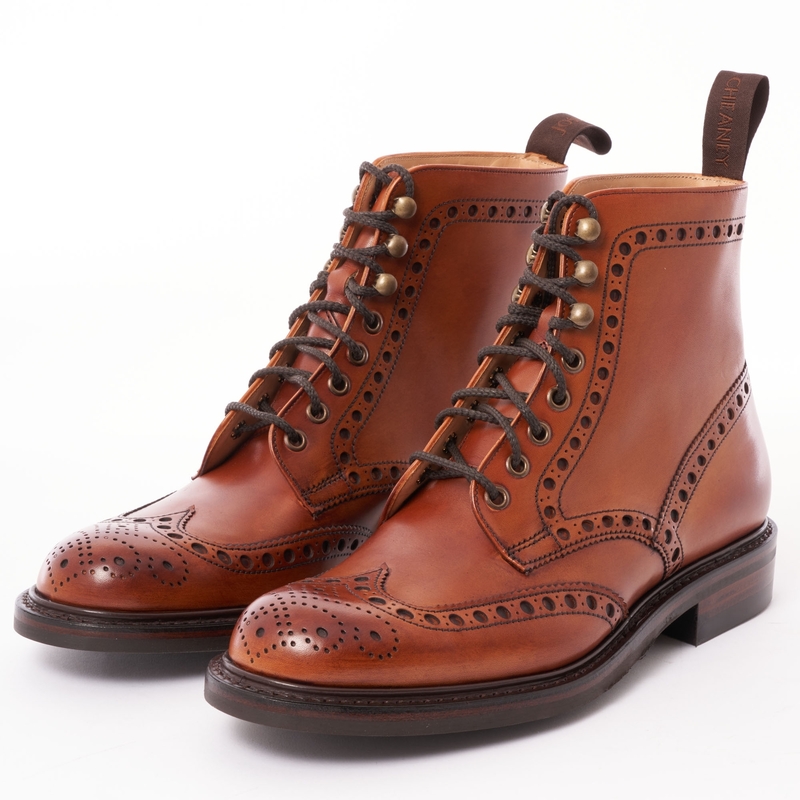 A premium quality boot to arrive from Northamptonshire based shoemakers Joseph Cheaney & Sons the Tweed Wingcap Brogue Boot is the perfect option for those on the look out for a comfortable shoe adaptive for country or contemporary urban wear. Featuring timeless aesthetics with a full calf leather upper this dark leaf iteration of the tweed boot draws the attention with a brogue detailing throughout which is complimented with the models lace up fastening boasting ten metal eyelets and six speed hooks. Sitting upon a Goodyear welted danite rubber sole for paramount comfort and durability with the addition of an all round leather storm welt for additional water resistance try working these handmade in England boots into your seasonal attire alongside selvedge denim from the likes of Edwin or Levi's Vintage for a heritage finish to your look over the coarse of the coming months.